Soneva in Aqua is the cruising counterpart to two iconic resorts in the Maldives; Soneva Fushi and Soneva Jani. This beautiful, custom built yacht features just two cabins and encapsulates Soneva’s footloose ethos. Soneva in Aqua cruises among the Baa Atoll – the only UNESCO Biosphere Reserve in the Maldives - and beyond, exploring picture-perfect islands and lagoons. 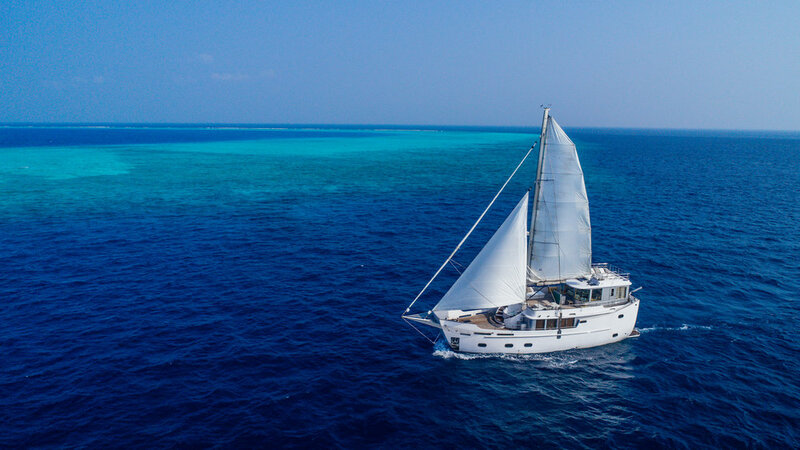 Guests can dive, snorkel, sail and learn about the underwater ecology with Soneva’s dedicated marine biologist, try Tai Chi or yoga at dawn, or indulge in a private sunset massage with the onboard therapist. The skilled crew includes a captain, a sous chef, a butler, a dive master and a massage therapist. An astronomer is also available on request, and keen surfers can book specialised surfari itineraries. Soneva in Aqua has two en-suite guest rooms with large windows allowing natural light to flood inside. The master suite is located on the lower deck and features a king-size bed with ample storage space and a glass-bottomed bathtub, while the second cabin is located on the main deck and also features a king-size bed. The yacht’s interior design stays true to Soneva’s barefoot luxury style, blending natural wood and pastel textiles. Inside, there’s a fully-equipped galley on the lower deck. The main deck features the salon, while on the upper deck, guests will find a bright lounge space with panoramic windows, sofas and a dining table. The room is fitted with a flat- screen TV and a small library. Outside on the foredeck is a circular jacuzzi, with steps leading up to comfortable daybeds that catch the breeze. On the top deck, there is an alfresco lounge and dining deck that is perfect for enjoying meals under the stars. Soneva in Aqua was built in 2015 and spans 19.28m. 2 cabins accommodate up to six guests. She cruises at a maximum speed of 8 knots.